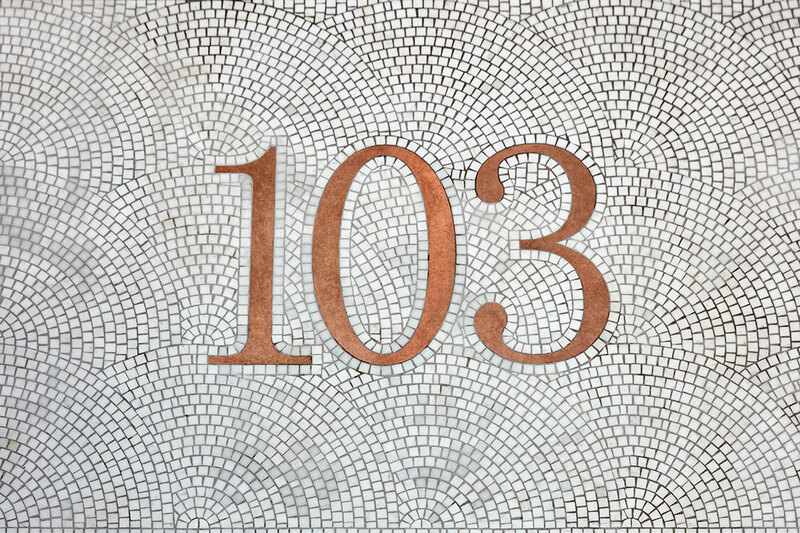 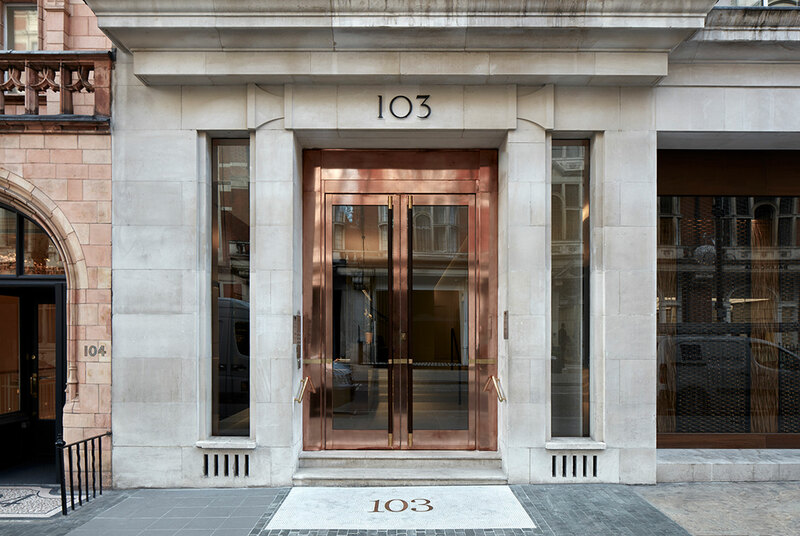 LTS were asked to develop an entrance and reception space for this beautiful 1930’s office building in the heart of Mayfair. 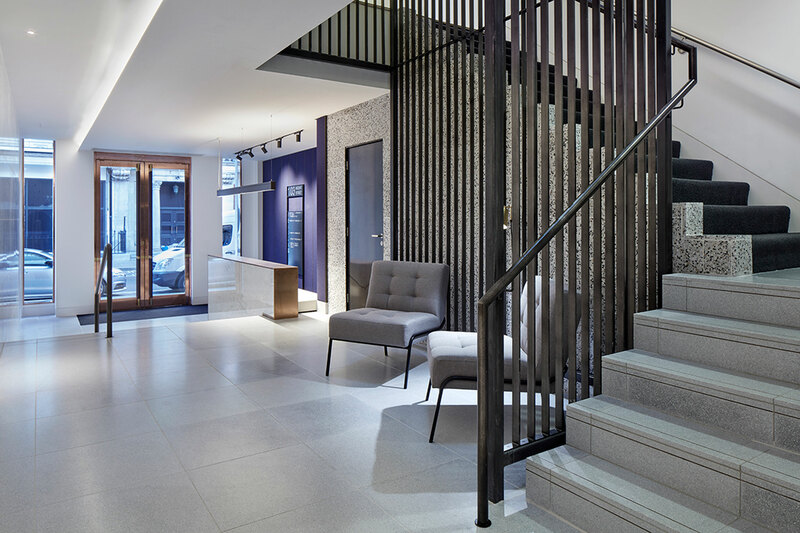 The exuberant context inspired us to introduce the idea of ‘boutique hospitality’ to this office reception; we created a light space in which to dwell that shares a connection to the street, drawing on the relationships of the boutique shopfronts next door. 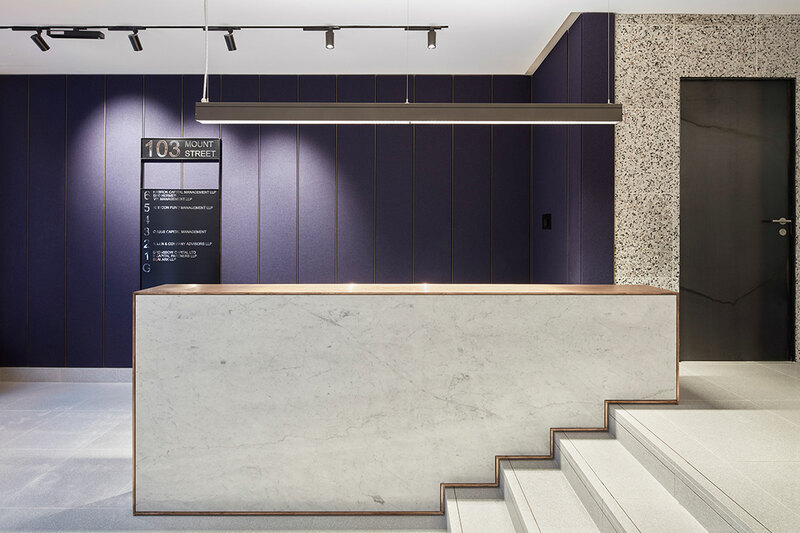 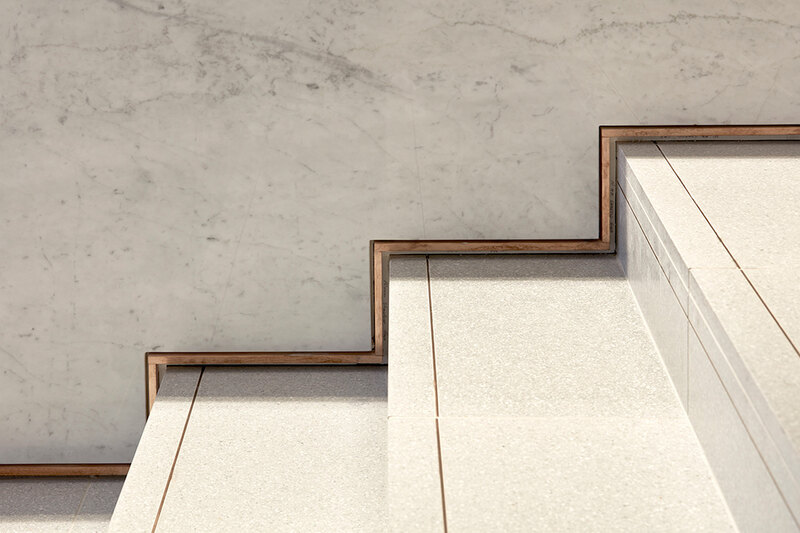 The bronze and marble materials reference the period of the building, but we have softened this with a textile wall covering to draw on the richness of that era. 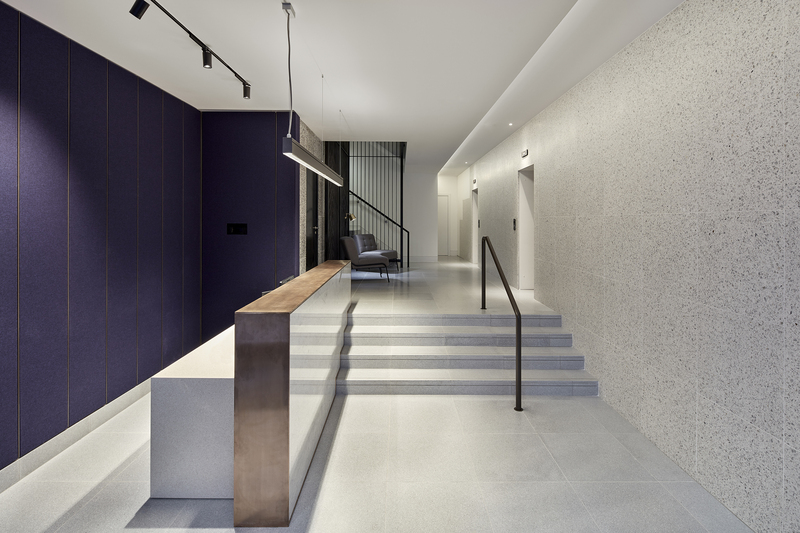 The acoustics within the space are therefore modulated to enhance the experience of being received as a guest.